When the Indian Premier League came into existence in 2008, it brought several new advances to the game. The most innovative way was introduced to reward the leading run-getter and the highest wicket-taker of the tournament. An Orange Cap was presented to the leading run-getter while the highest wicket-taker won the Purple Cap. 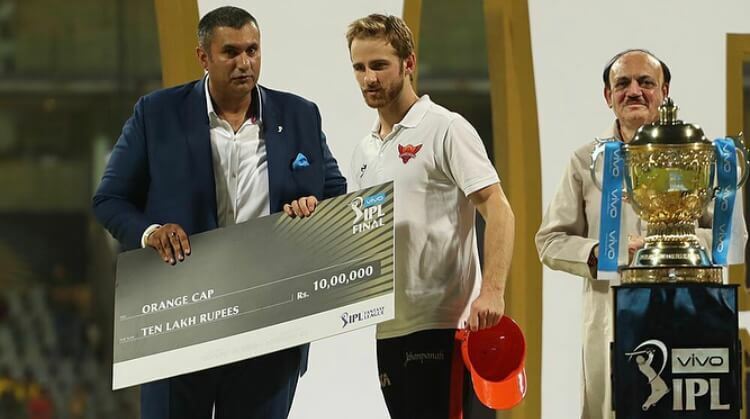 In the first edition, Shaun Marsh from Australia, who represented Kings XI Punjab, became the first winner of the Orange Cap. He scored 616 runs from 11 matches. Even though KXIP couldn’t go on to win the league, but it was the breakthrough tournament for Marsh who hogged the limelight and later went on to represent the national side as well. Matthew Hayden of Chennai Super Kings then won the Orange Cap in 2009. The legendary Sachin Tendulkar then became the proud owner of the honor in the 3rd edition. Chris Gayle, who played for Royal Challengers Bangalore, snatched the Orange Cap in the next 2 seasons. He is still the only batsman to win it in 2 consecutive seasons. David Warner is the other who has won it twice. He got it while playing for Sunrisers Hyderabad in the years 2015 and 2017. Michael Hussey, Robin Uthappa and Kane Williamson are the others to win the Orange Cap one time each. However, the record for the most runs in a season is held by Virat Kohli. The right-hander scored a mammoth 973 runs in the year 2016. He is the only batsman to cross the 900-run barrier in a season. Also, he scored 4 centuries which is also a record for the most number of tons in a season.